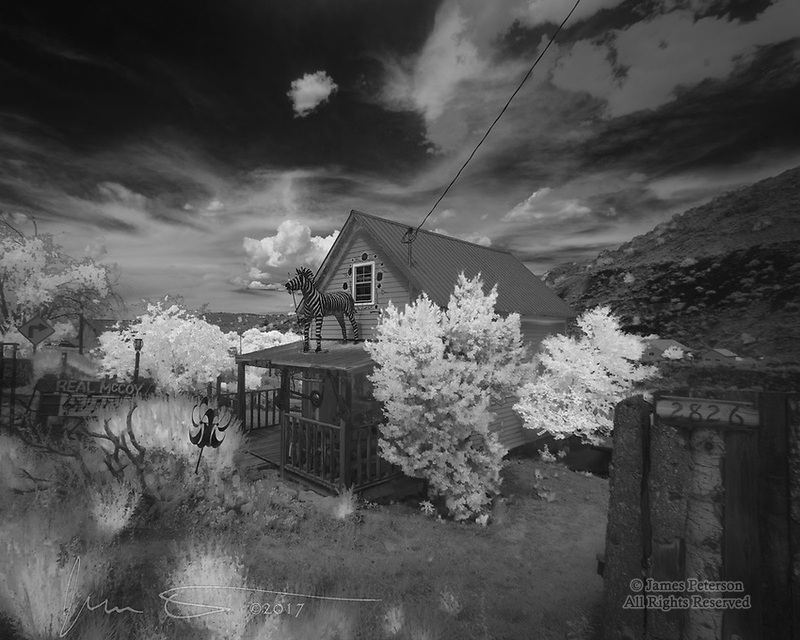 Zebra House, Madrid, New Mexico (Infrared) ©2017 James D Peterson. This unique structure greets you when you enter this quirky old mining town from the south on State Highway 14. It houses a shop called Real McCoy.